This post contains three reports (above) showing the genealogy of branches of the Dreiser and Schnepp (aka Schänäb) families. The Schnepp or Schänäb family were ancestors of Theodore Dreiser’s mother, Sarah Maria (Schnepp) Dreiser, and of his second wife, Helen Esther (Patges Richardson) Dreiser. These reports, which are downloadable, were generated using genealogy software. Each report shows the ancestor going back to a beginning point, so to speak, and then shows that ancestor’s descendants for a few generations down to the present (to the extent known). 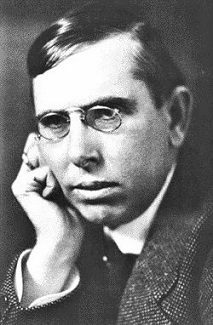 The report entitled “Descendants of Theodore Dreiser” merely shows genealogical facts about the author and his spouses. There were no descendants. This entry was posted in genealogy and tagged シオドア・ドライサー, シオドア・ドライザー, シオドー・ドライサー, シオドー・ドライザー, セオドア・ドライサー, セオドア・ドライザー, Henry Schanab, Henry Schnepp, Johann Paul Dreiser, John Paul Dreiser, теодор драйзер, Sarah M. Dreiser, Sarah Maria Schanab, Sarah Maria Schnepp, Theodore Dreiser on March 7, 2016 by Roger W. Smith.